And so, the battle of the celery between myself and my one daughter continues. Do you need a reason to consume organic, specifically those foods that you use on a daily level, here are fifteen of them! 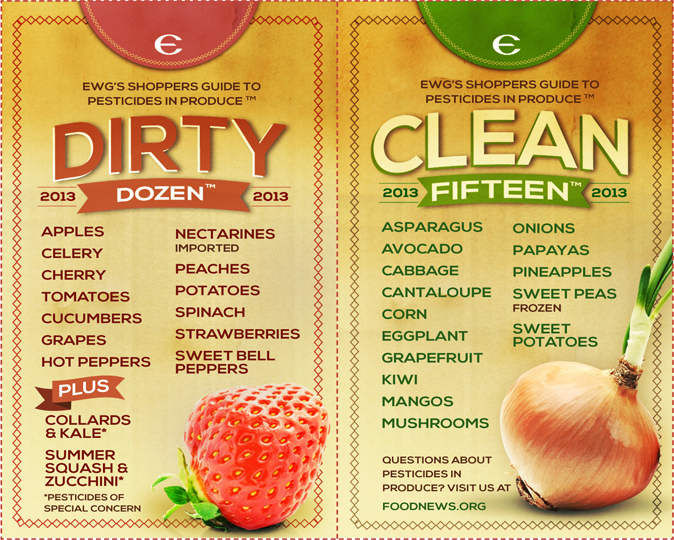 The discussion with my daughter ended that day, once I refreshed her memory about the dirty dozen and clean fifteen. There it is, celery, one of the dirtiest veggies on the market! I thought our discussion was done on where the best (healthiest) celery can be found and the value of organic…..until this morning. We check in with each other about the stock in the veggie drawer and this morning we reassured each other that we bought celery. She started to brag about the beeeeautiful celery she got at a local “farmers market”. “oh I’m sure it’s organic, I even asked the clerk”, she reassured me. In my books unless it’s the farmer or one of their hired hands I place very little value in what “the clerk” said. I like the fact that on any given day you will see a farmer in The Mustard Seed either making a delivery of fresh produce or even making purchases for their own family. Wow, that’s kind of neat, the suppliers shop there. As well, if I’ve ever had a question about where produce came from “the produce clerks” are highly specialized and are open to sharing. 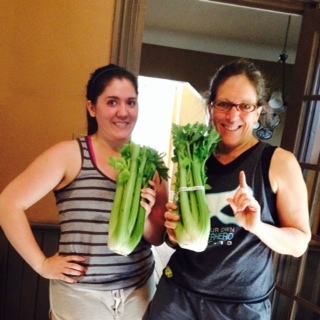 A friendly little game of mine is better than yours played out…….until we got home and I pulled out MY organic celery. I was able to grab a picture before she ushered her bunch back into the veggie keeper as I heard her murmur something about how nice mine was……..You can be the judge……. Whether your using celery for juicing or just consuming there are numerous health benefits. Previous PostStrawberry Rhubarb Jam, That REALLY Is EasyNext PostEnergy Crisis!